NOTE: This report can also be downloaded here. This week, the U.S. Environmental Protection Agency will begin conducting public hearings on its proposal to implement a stricter standard on ozone – a rule that the National Association of Manufacturers has called “the most expensive regulation ever imposed on the American public.” To justify the rule, EPA has made a number of claims about the health impacts from ozone exposure, arguing that its proposed rule will actually deliver billions of dollars in net benefits. Given the significance of this proposed rule, which the New York Times says “would come with a high cost to industry,” it’s important to dig a little deeper into the basis on which the EPA is justifying the new standard. A review of the data suggests that EPA may have inflated the benefits of its proposed rule and downplayed the costs, which could ultimately translate to less American energy production and increased costs for U.S. manufacturers. Ground-level ozone, also known as smog, is formed when volatile organic compounds (VOCs) and nitrogen oxides (NOx) interact with sunlight. 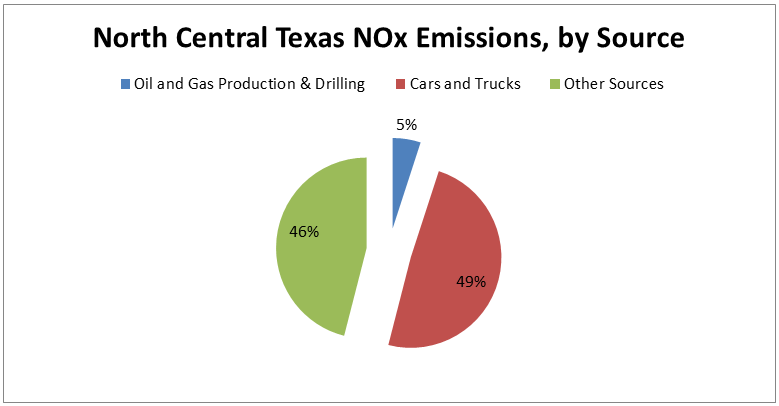 The Texas Commission on Environmental Quality has said that “NOx emissions are a more vital or limiting component than VOC emissions in ozone formation,” although the relative importance of each compound may vary in different parts of the country. An array of industrial activities emit NOx and VOCs, although many regulators have identified tailpipe emissions from cars and trucks as the main cause of smog. The federal Clean Air Act gives EPA the authority to set National Ambient Air Quality Standards (NAAQS) for a range of pollutants, including ozone. The Clean Air Act provides for states to be the regulators to attain the NAAQS. In areas classified as “nonattainment,” there are additional permitting requirements for activities that result in emissions, which include but are certainly not exclusive to oil and natural gas production. Additionally, if a company wishes to expand the industrial base of a region in nonattainment, the Clean Air Act requires that it implement costly “offsets” to ensure its emissions are not pushing the region further out of attainment. Thus, nonattainment status can present a barrier to new investment, since new economic activities will be far costlier than in areas that have already achieved attainment. In 1997, the EPA set the ozone standard at 84 parts per billion (ppb), and then reduced it in 2008 to 75 ppb. 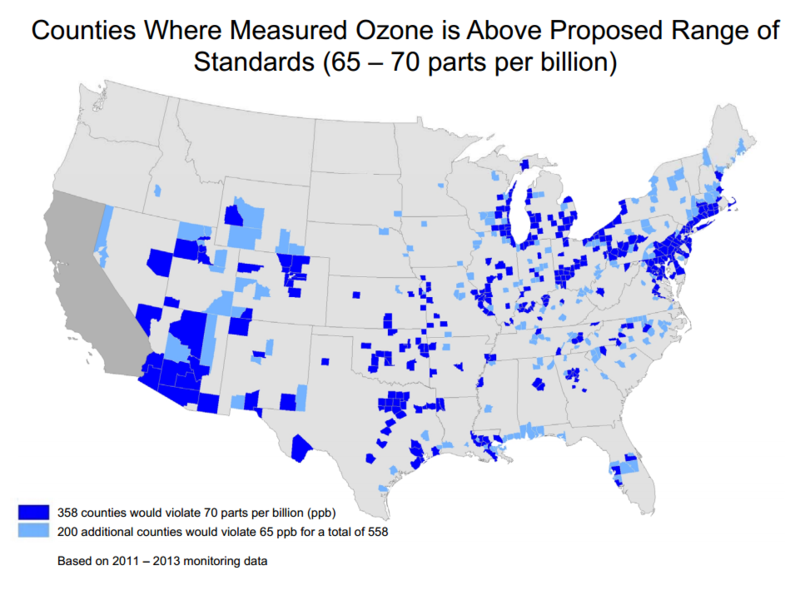 Unfortunately, many parts of the country have been unable to achieve EPA’s existing ozone requirement. Additionally, several major metropolitan areas are still out of attainment with EPA’s higher, 1997 standard. What this means is that a new, lower ozone standard could ward off new investment — and potentially even drive existing operations out of certain areas. Not surprisingly, the EPA argues that new ozone regulations will significantly improve public health, “based on extensive scientific evidence,” according to the Agency. Although Sunstein said that EPA does not have to justify the rule based upon costs and benefits, the Agency does argue that the value of the rule’s benefits — which the EPA categorizes as “avoiding asthma attacks, heart attacks, missed school days and premature deaths” — far exceeds the billions of dollars that the agency admits the rule will cost. Indeed, there is a monetary value to improving health, and the “public health” basis is certainly incorporated into EPA’s overall cost-benefit analysis. Thus, it’s possible to understand the public health basis for EPA’s new ozone rule by looking at how the Agency determined the monetary value of the tighter standard. According to a fact sheet released by the EPA, lowering the ozone standard to 70 parts per billion (ppb) — down from the current 75 ppb — would deliver benefits valued at between $6.3 billion and $13 billion, but would cost $3.9 billion, creating “net benefits” of between $2.4 billion and $9.1 billion. If the standard were set at 65 ppb, EPA estimates that the costs would jump to $15 billion, but the benefits would also increase to between $19 billion and $38 billion. Importantly, the EPA is also accepting comments on a standard as low as 60 ppb, although the Agency did not include that threshold in its economic assessment, owing to “increasing uncertainty in the scientific evidence at lower ozone concentrations.” The EPA noted that this uncertainty “reduces confidence that ozone standard levels below 65 ppb will result in additional health improvements” relative to the 65-70 ppb range. The Agency’s net benefit numbers, however, are dramatically higher than what the same EPA estimated just a few years ago. But in 2014, the EPA changed its mind, claiming net benefits of a lower ozone standard are now as high as $23 billion – a 3,100 percent increase in net benefits for the exact same standard. So, what explains the change? But the fact sheet says nothing of the 2011 RIA, much less the scientific studies that were used to justify its previous claims about benefits and costs. Could it be that EPA was able to review a significant quantity of reports published since 2011 that better established the health benefits of a 65 ppb standard? Perhaps, but it would be difficult to make that claim based upon a review of the scientific references in EPA’s final Health Risk and Exposure Assessment for Ozone, which was published in August 2014. There are 263 reports and studies listed in the reference sections of that Assessment. But nearly 70 percent of those sources were published prior to 2011, meaning they were part of the broader scientific understanding of ozone when EPA determined the net benefits from a 65 ppb standard were essentially zero. Moreover, many of the sources published during or since 2011 are literature reviews from EPA, which examine research published in previous years. Curiously, as William Yeatman at the Competitive Enterprise Institute has observed, much of the “science” behind EPA’s latest ozone proposal was actually developed by the EPA itself. The Clean Air Scientific Advisory Committee – whose review of the latest science is what informed EPA’s public health basis for the new ozone rule – actually endorsed a 60 ppb standard, or 5 ppb lower than what EPA is even considering. As one might suggest, if a 60 ppb standard could be justified scientifically, then a 65 ppb or even 70 ppb standard could be seen as merely a “moderate” approach. It is altogether possible that the EPA reviewed “more than 1,000 new studies” that were published since EPA’s 2008 ozone standards were finalized. But many of those studies were available — and presumably also reviewed — in 2011 when EPA said the 65 ppb ozone standard came with a far higher price tag than it does now. And if the EPA is relying on its own research to justify its rules, then why even bother with an “independent” body to review the available scientific literature? 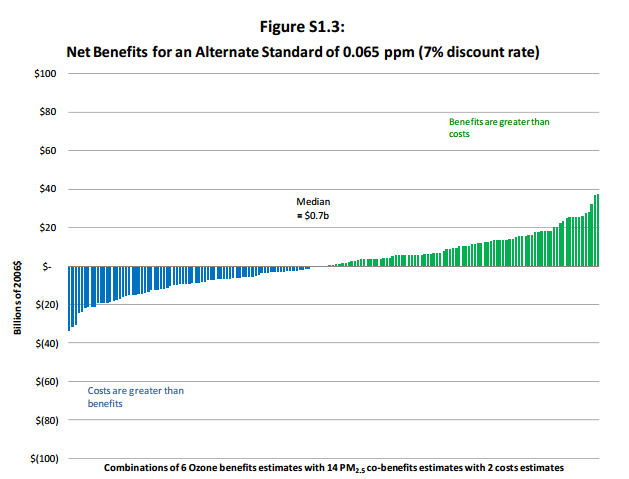 If compliance required “aggressive technological change” with “optimistic” assumptions to make the 65 ppb ozone standard barely break even in terms of net benefits, then it’s possible — and indeed likely — that a more reality-based set of assumptions would show the rule actually imposing a net cost on the economy. Yet in EPA’s latest proposal, the Agency makes it appear as if the exact same standard now delivers greater health benefits — by several orders of magnitude. Negative Impacts on Public Health? The EPA cites “asthma attacks” as one of its key health indicators, suggesting that imposing a stricter ozone standard would reduce asthma attacks, and thereby delivering health benefits. But as noted by the Center for Regulatory Solutions — a project of the Small Business & Entrepreneurship Council — EPA’s own documents show that asthma-related mortality could increase in certain areas if ozone levels decrease. 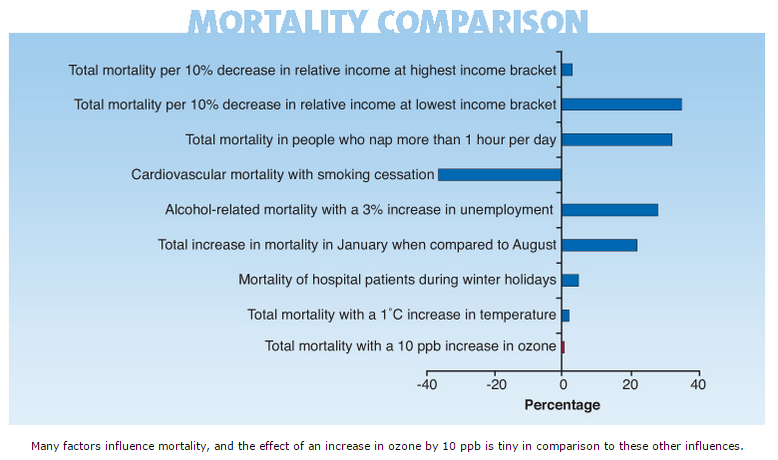 Honeycutt looked at EPA’s own data sets and found that, in Houston, adjusting the ozone standard to 70 ppb or 65 ppb would result in 48 or 44 more premature deaths, respectively. The reason for this counter-intuitive conclusion is anyone’s guess, ranging from flawed data analysis to an acknowledgment that less economic opportunity can worsen individuals’ health. Honeycutt’s analysis also included a chart showing the relative health impacts from a variety of outside factors and lifestyle choices. Notably, the health impact from lost employment was far larger than what could potentially be associated with higher ozone levels. The connection between employment and health is well documented. As the Robert Wood Johnson Foundation has noted, laid-off workers are 54 percent more likely to have fair or poor health than those who are continuously employed, and 83 percent more likely to develop a stress-related condition, including heart disease. In fact, it was the threat to the economy — and by extension the threat to public health — that caused such intense criticism of EPA’s 2011 ozone proposal. B. Keith Overcash, the air quality director for then-Gov. Bev Perdue (D-N.C.), provided “one of the strongest appeals” for EPA to scrap the rule, according to the New York Times. “Lack of employment, loss of health care, and in some cases, loss of a home, also affect the health of our citizens,” Overcash wrote to EPA in 2011. 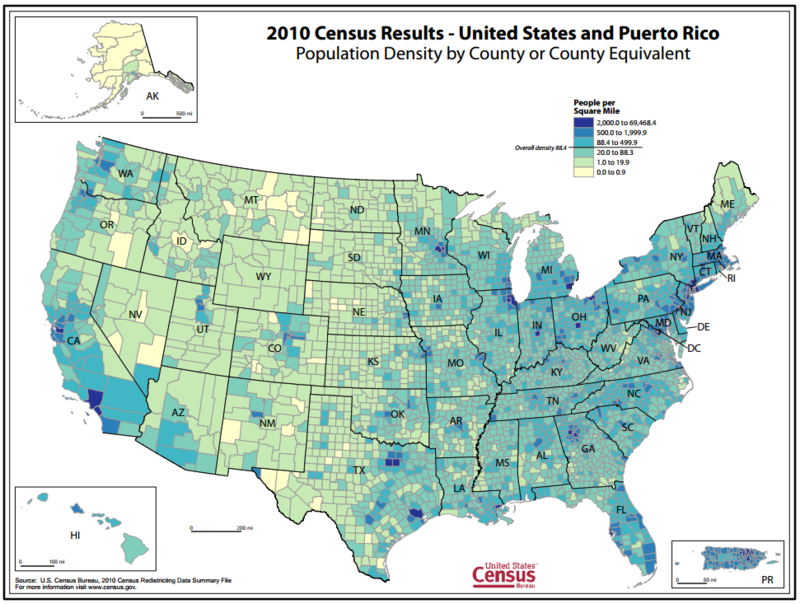 Although the map appears to show only a few areas that would be out of compliance, it’s in these same areas where the United States has its highest population density. Curiously, some of the counties projected to be in nonattainment have extremely low population densities, such as those located in national parks. Worse yet, according to previous analysis from the EPA, it’s unlikely that these regions will be in compliance with the current standard any time soon. In 2011, the EPA identified “21 counties (in four geographic areas) that are not expected to attain 0.075 ppm in 2020,” counties that include some of the largest population centers in the United States, such as the Northeastern Corridor, as well as the metropolitan areas of Chicago and Houston — the third and fourth largest U.S. cities, respectively. EPA added that the San Joaquin and South Coast air basins in California weren’t even expected to meet a much higher threshold of 84 ppb until 2024. Many of these regions have not been in attainment for several decades, but EPA’s claims about the “health benefits” of a lower standard are premised upon these regions coming into compliance. Put differently, the “benefits” for which EPA has computed a monetary value – and used as a justification for a lower standard – are unlikely to materialize. Notably, the EPA is arguing that its new ozone standard will be easy to comply with, because the laundry list of other expensive regulations that the Agency has already implemented or proposed will also help reduce ozone. But if EPA’s idea of compliance requires the implementation of other rules, then it’s odd that the costs of those rules are not included in EPA’s overall cost-benefit analysis for new ozone standards. The EPA estimates that the Mercury and Air Toxics Standard has a price tag of $9.6 billion per year. The Tier 3 rule “will cost refiners $10 billion in capital costs and $2.4 billion a year in operating costs,” according to the American Fuel & Petrochemical Manufacturers. According to a member of the Federal Energy Regulatory Commission, the cost of the Clean Power Plan alone “could total hundreds of billions of dollars,” in addition to any impacts it may have on the reliability of the U.S. electric grid. Cheap energy is bringing manufacturing back to America, with over $100 billion in planned investments in the United States thanks to low-cost natural gas. America’s trade deficit is declining, with net petroleum imports at their lowest level since 1987. According to the American Petroleum Institute, the U.S. oil and natural gas industry supports nearly 10 million high-paying jobs. Oil and gas development boosts tax revenue at the local level. In Pennsylvania alone, a state-imposed impact fee has generated more than $600 million for local governments since 2012. Increased U.S. oil production has slashed demand for imports and helped to drive down gasoline prices, which are currently at their lowest level in half a decade. Lower prices for energy, such as electricity and heating, have been valued at more than $100 billion for the U.S. economy. It’s worth noting that these economic gains have been accompanied by some major environmental benefits as well. The United States leads the world in carbon dioxide reductions — not because it has imposed a carbon tax (as other nations have), but because of the increased use of clean-burning natural gas. Local air pollution, including in states with long histories of pollution problems, is also declining thanks to natural gas, which has led many experts to link natural gas with improved public health. But by driving up the cost to operate, EPA’s new ozone standards threaten to reduce or wipe out these benefits. Increase industrial natural gas costs by an average of 52 percent and electricity costs by an average of 23 percent over what they would be if the ozone standard was unchanged. One of the main compliance problems for oil and natural gas production comes in areas that have a history of failing to comply with ozone standards, irrespective of any oil and natural gas production activities. This includes the Barnett Shale of North Texas (which underlies part of the Dallas-Fort Worth metropolitan area) and the Eagle Ford Shale (near San Antonio), as well as parts of Utah, Colorado, Wyoming, and Pennsylvania. 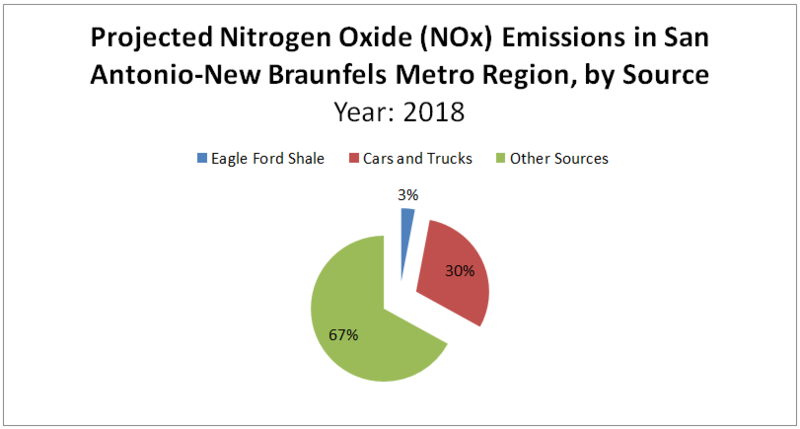 In areas classified as “nonattainment,” oil and natural gas producers would likely have to obtain additional permits, or even create offsets for emissions of ozone precursors such as nitrogen oxides (NOx) and volatile organic compounds (VOCs), before it could drill additional wells. These costs could be imposed despite the fact that emissions from oil and natural gas production activities contribute only a small fraction of total ozone precursors, and are dwarfed by other sources such as cars and trucks. As NERA’s recent study outlined, EPA’s new ozone rule could have a dramatic impact on future U.S. energy production, which would impact the millions of households across the country that have benefited from lower heating costs as a result of affordable natural gas, as well as cheaper gasoline. With such a massive potential impact on future U.S. energy production — and indeed the entire U.S. economy — EPA’s ozone rule could very well be the costliest regulation ever promulgated. If a rule of this magnitude is to be imposed, then the EPA should have to provide a far more scientifically robust “public health” basis — one that doesn’t rely on what appears to be a dubious inflation of health benefits and a lack of attention to the quantitative and qualitative costs.